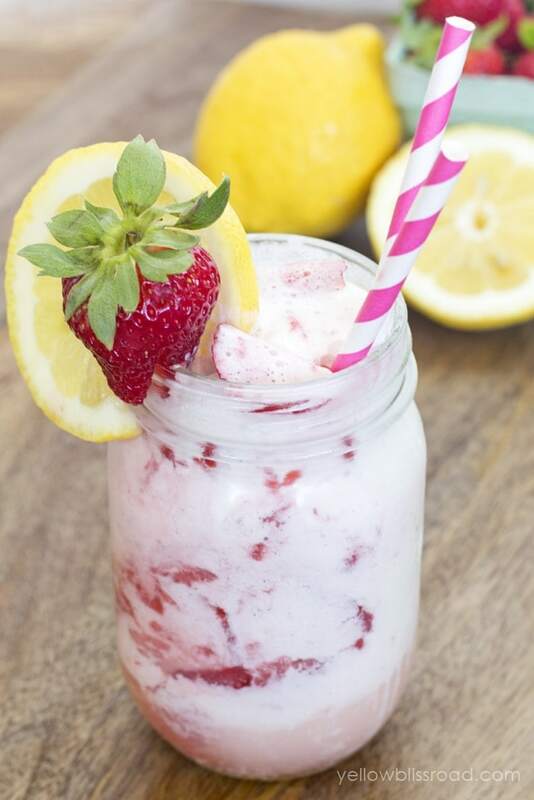 I had this brilliant idea to make a strawberry lemonade ice cream float. It was one of those brilliant ideas that comes at 1 am and you almost jump out of bed because you want to try it right then. You guys. This is THE BEST dessert I have made in a looong time. 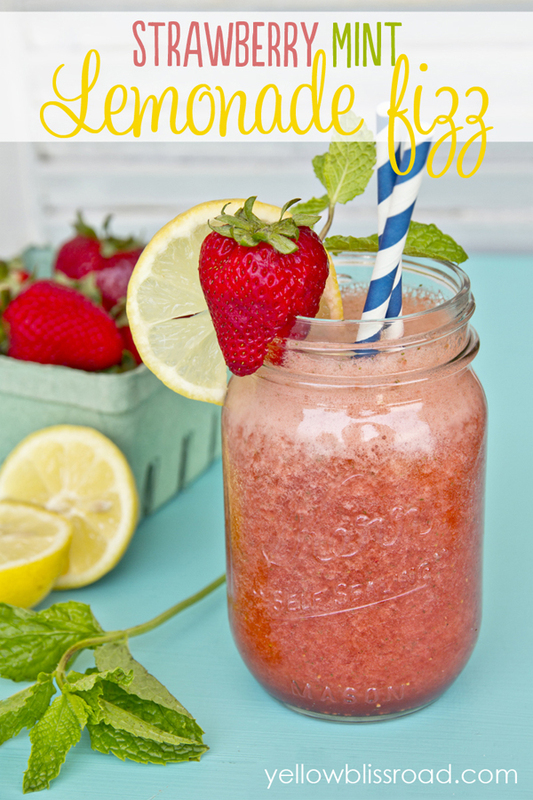 It’s sweet and refreshing and tangy and just plain YUM. And it just looks pretty. A pretty treat is always a bonus. 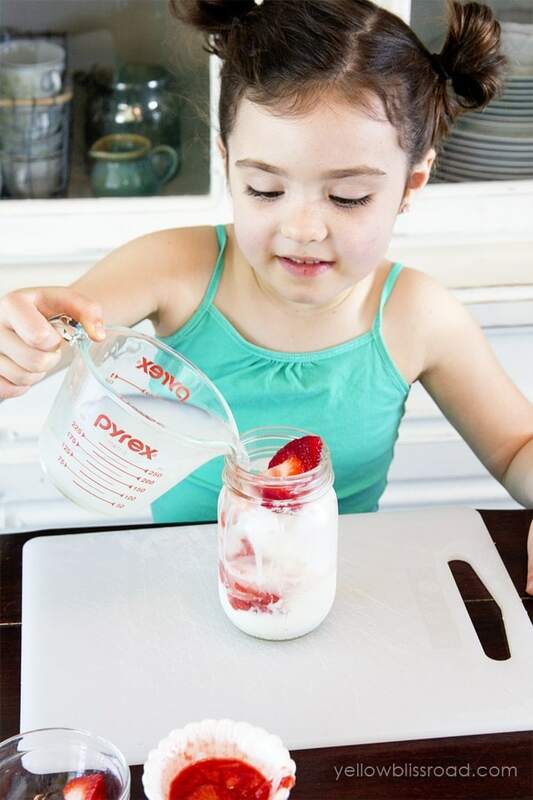 The first step is to make the strawberry syrup. 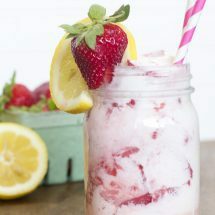 This is a very basic method to just help melt down some of the strawberries and create something that you can better sip through a straw. to make it easy), and place them in a small pot over low heat. Add a little bit of white granulated or powdered sugar and stir around until it comes to a boil. Now I promise you this little syrup is going to tempt you into to eating it by the spoonful, but trust me you want to save it for the lemonade float. 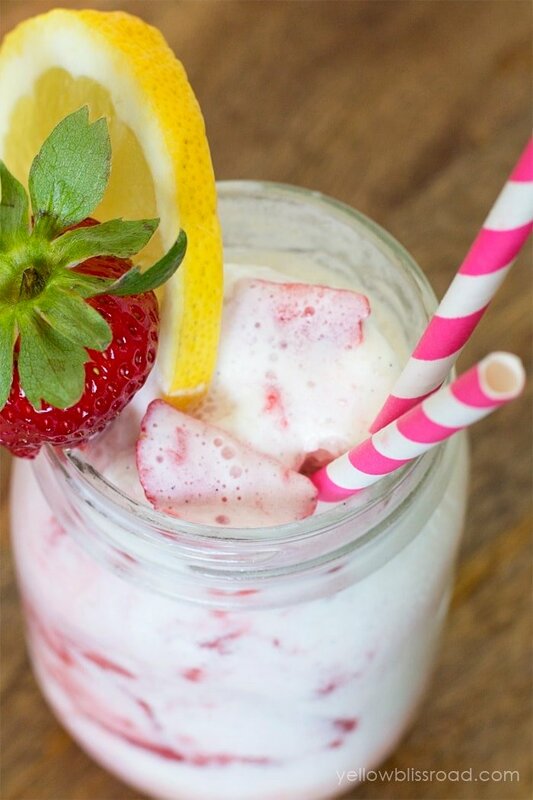 Drop two or three scoops of vanilla bean ice cream into a glass, then add half of the strawberry syrup. Top with a few more sliced strawberries then fill glass with lemonade. 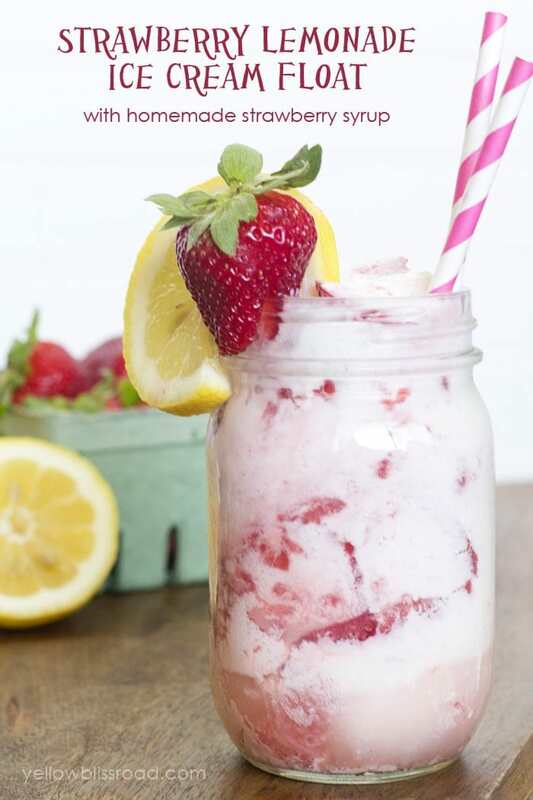 We use Minute Maid Light Lemonade – way less sugar than regular and it kind of makes the ice cream part ok. Right? 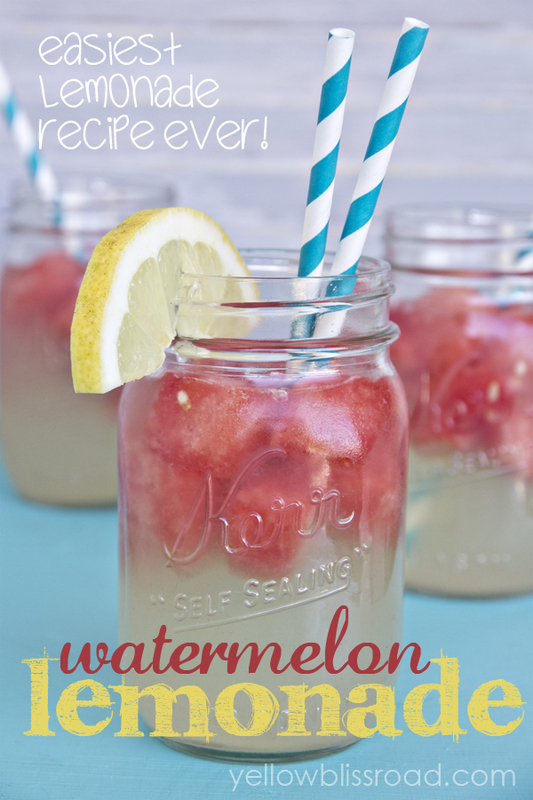 You could also try my Perfect Lemonade Recipe. Add an adorable paper straw and you have just made the very best drink ever. At least in our humble opinions. 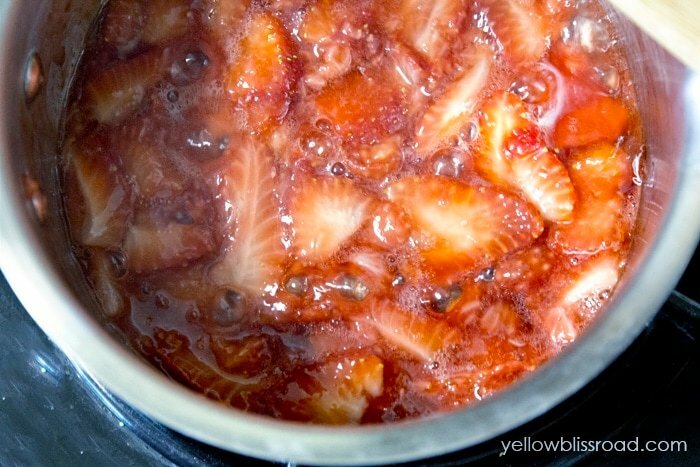 Slice 7 or 8 of the strawberries and and place in a small pan over low heat. 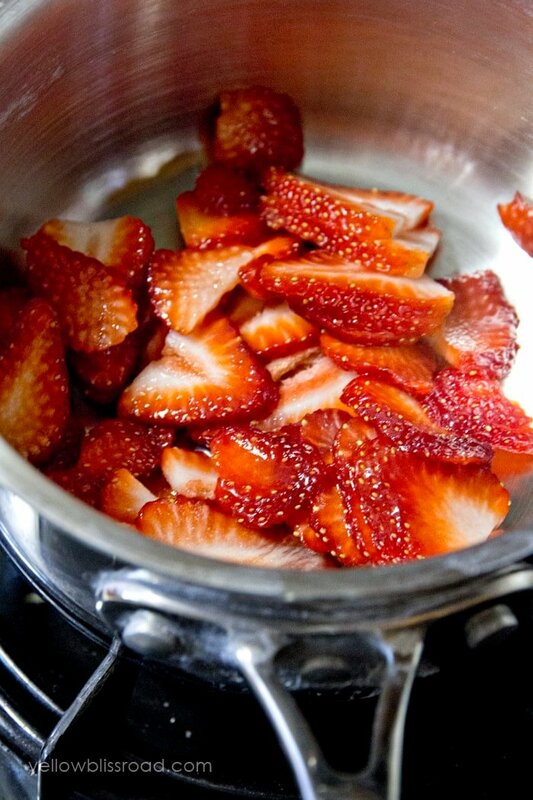 Sprinkle strawberries with sugar and stir intermittently until mixture comes to a boil. Remove from heat and transfer to a small glass bowl. Set aside to cool. Place 2-3 scoops of vanilla bean ice cream into a tall glass (Ball jars work great). Pour half of the cooled strawberry syrup over the ice cream. Top ice cream with strawberry slices. Fill the glass with lemonade. Hi Kristen! 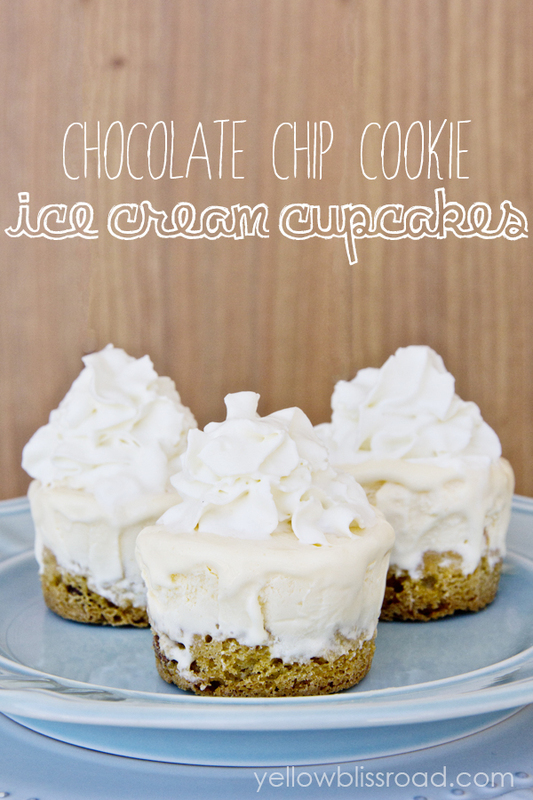 I absolutely love ice cream float and these are two of my favorite flavors – this looks so delicious! Visiting from TT&J – Thanks so much for sharing and pinning. Hope you have a wonderful weekend!